Serge Aurier arrested for police assault: Arsenal and Liverpool had lucky escape! Two years ago, Arsenal and Liverpool were reportedly locked in a battle to sign ‘promising right-back’ Serge Aurier from Toulouse. It was a battle they both lost, as the Ivorian opted to move across France and join PSG. But it turns out PSG didn’t sign ‘promising right-back’ Serge Aurier. Instead, they landed ‘total nutcase’ Serge Aurier! 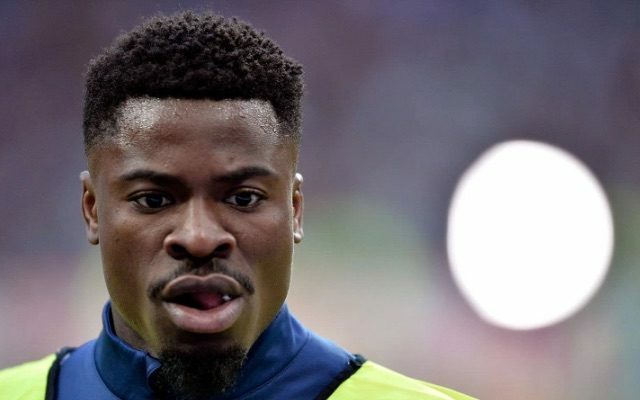 Earlier this year, Aurier got in hot water with his club for allegedly directing a homophobic slur towards manager Laurent Blanc via social media. The trouble-magnet has now taken things to the next level by getting arrested for an alleged assault on a police officer in Paris. Arsenal and Liverpool fans should thank their lucky stars for Hector Bellerin and Nathaniel Clyne!